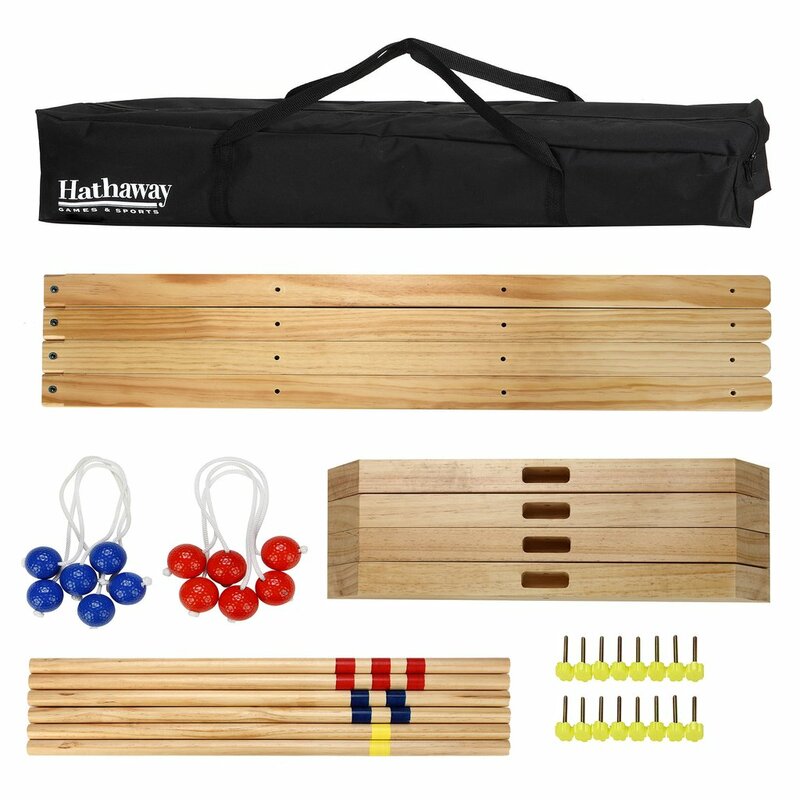 Add a new element of excitement to your next backyard party or camping trip with the portable Hathaway Solid Wood Ladder Toss Game Set. 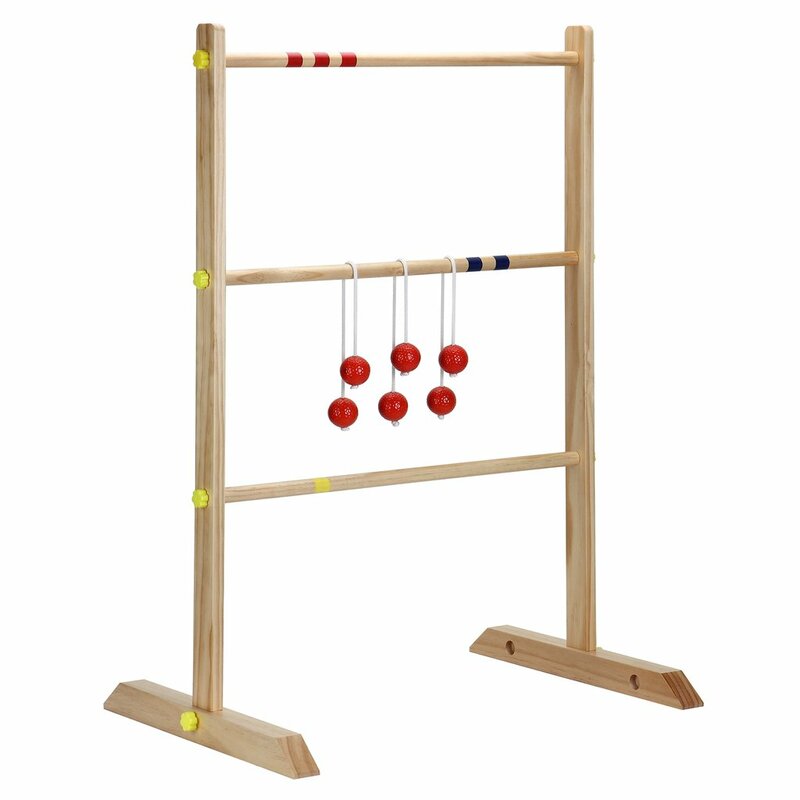 Sometimes referred to as Ladder Golf, this game is engaging for young and old alike - no experience required! Our set comes complete with everything you need to play the game in a handy rip-resistant nylon carry bag. 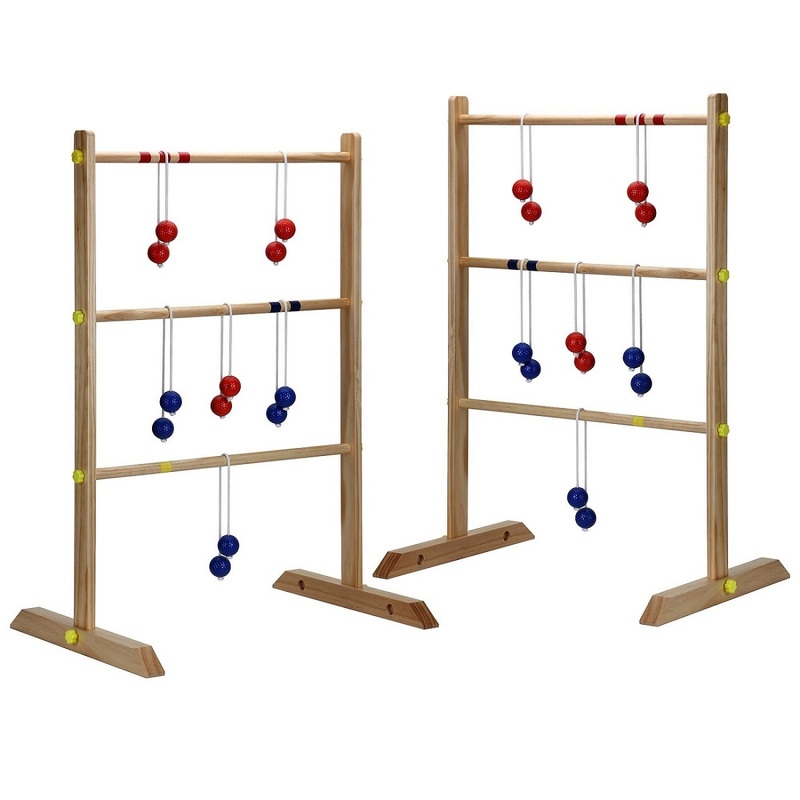 The high-quality ladder targets are constructed of solid hardwood with weighted bases for more stability and longevity. 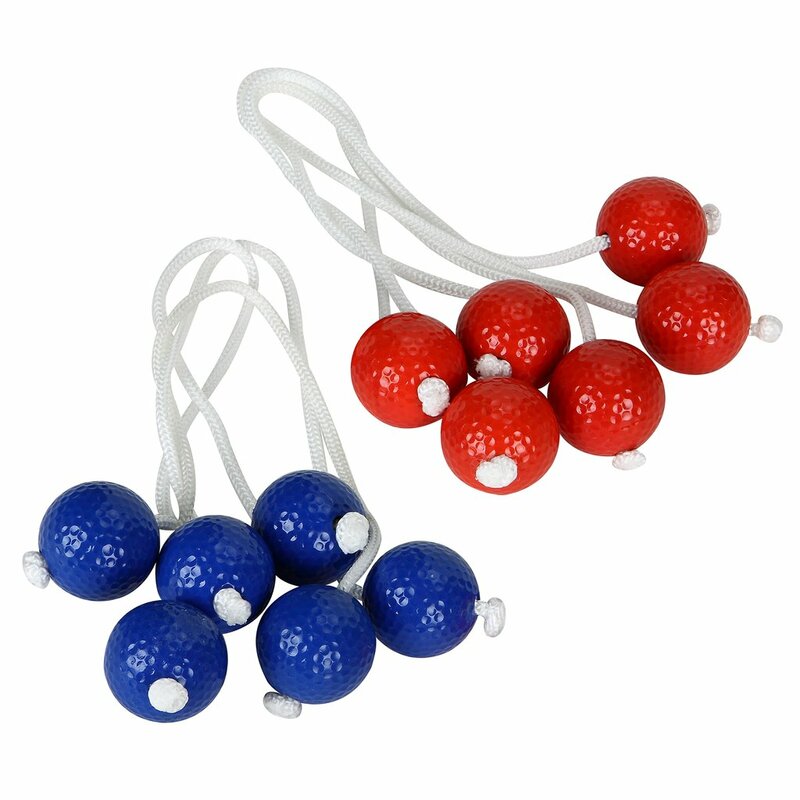 The bolas, 2 balls attached by a nylon rope, are made from real golf balls for authentic game play. Pick up a set today and take it on the go with you for instant fun, anytime, anywhere. 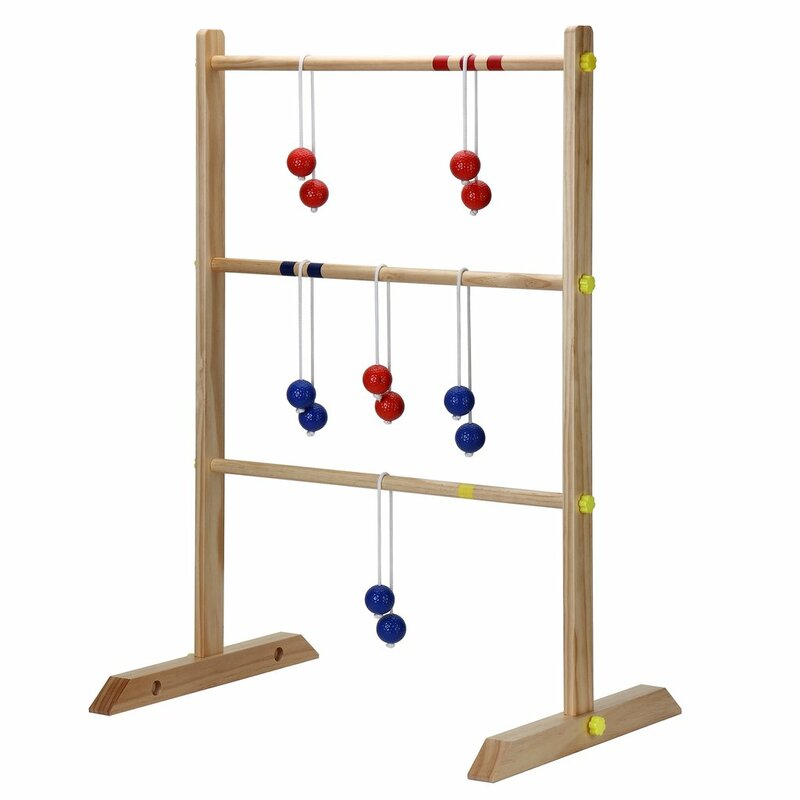 Hathaway, designed for fun, built to last!